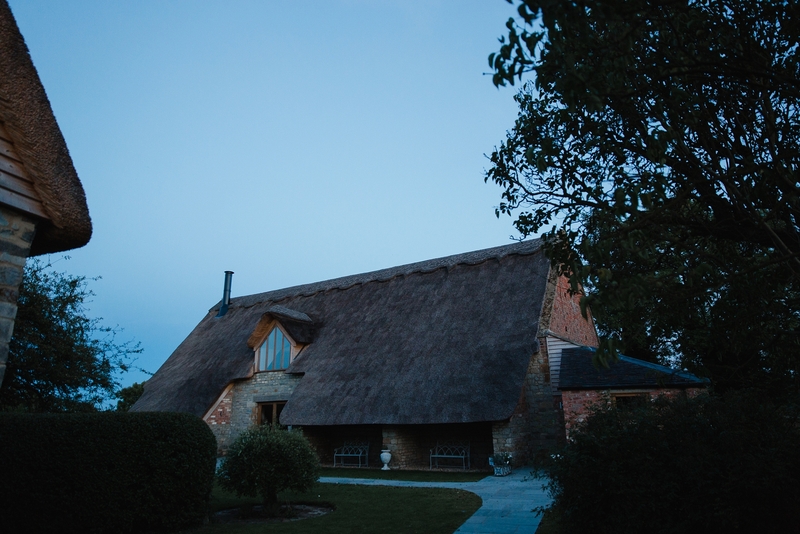 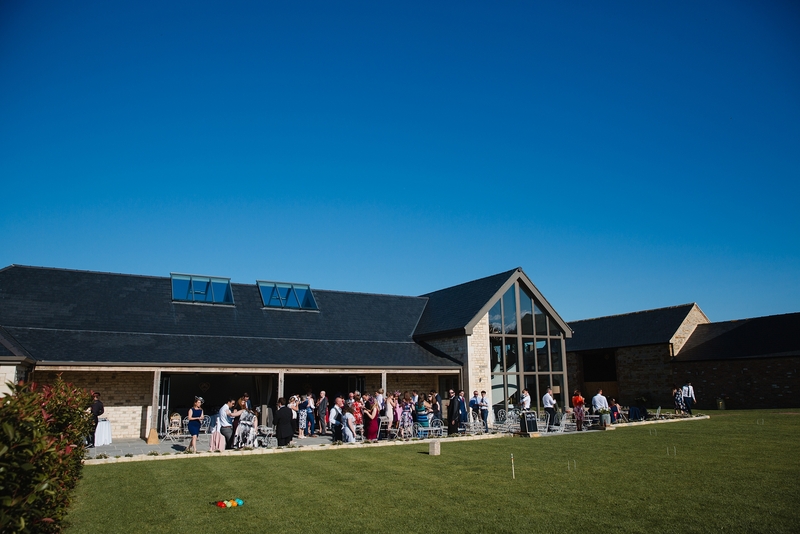 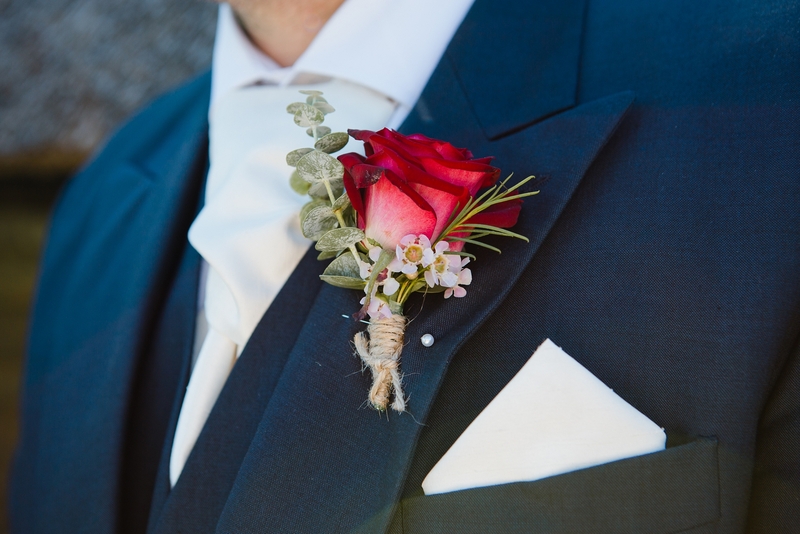 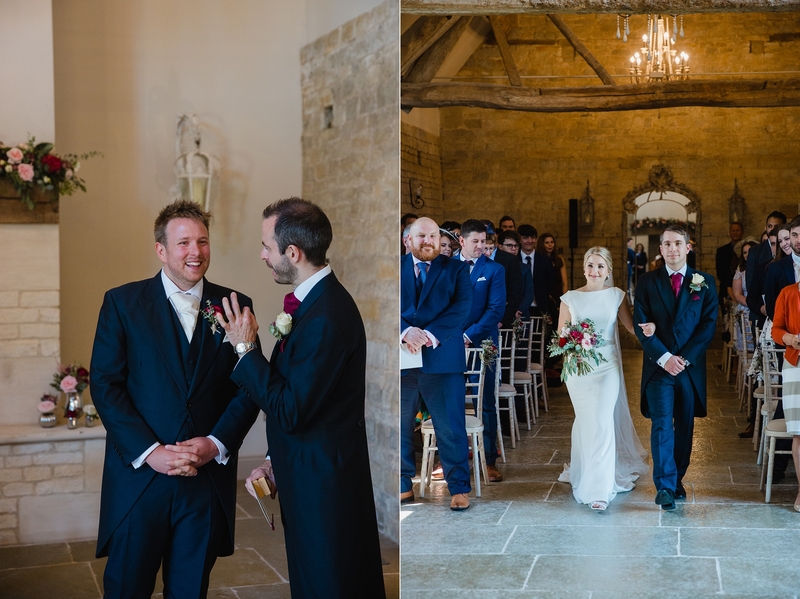 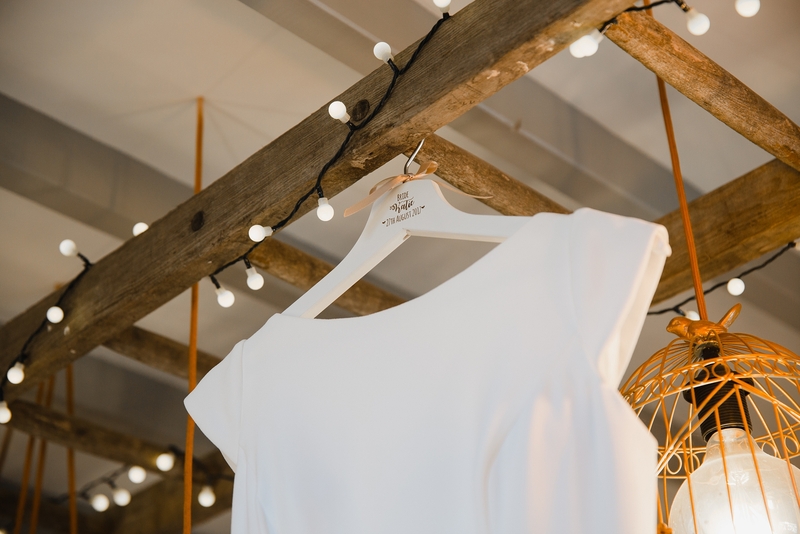 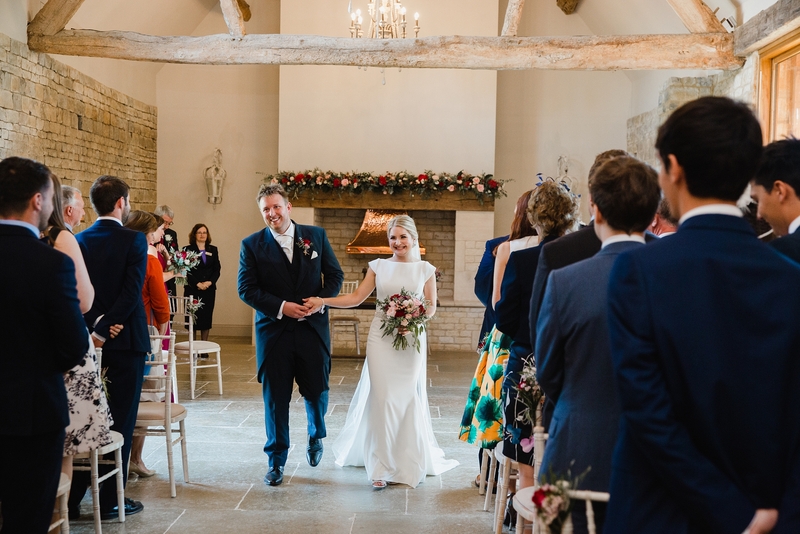 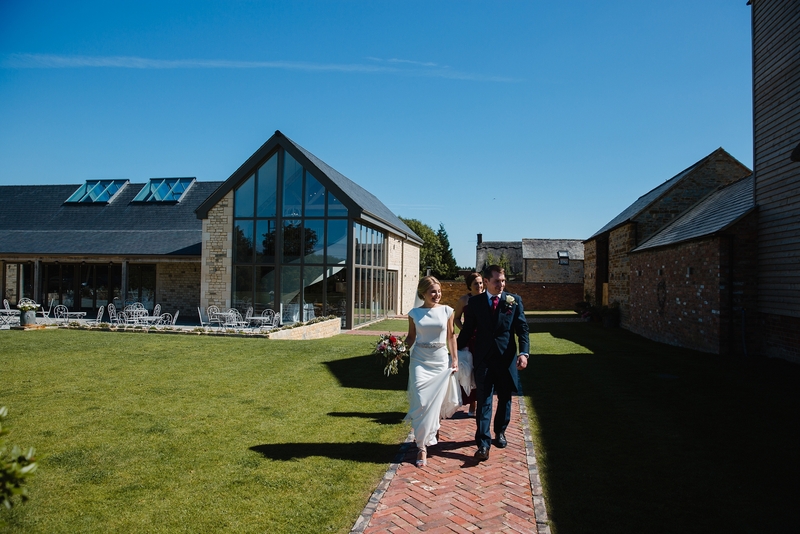 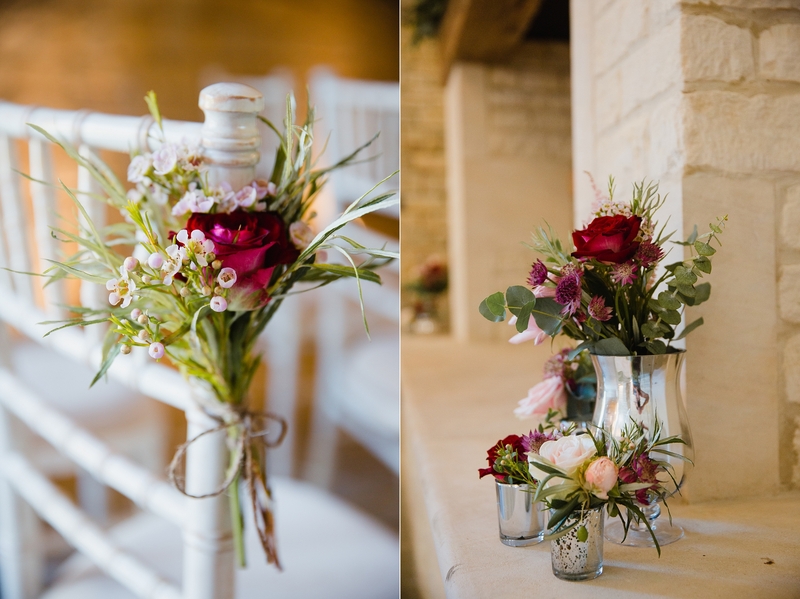 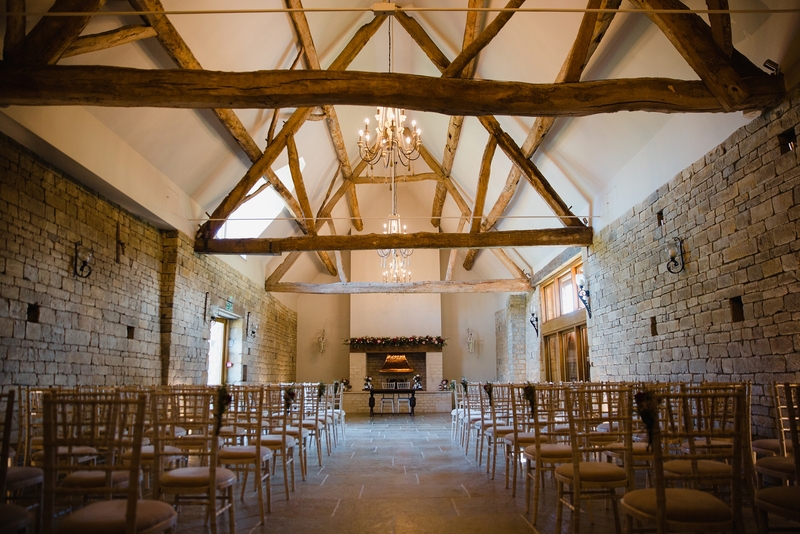 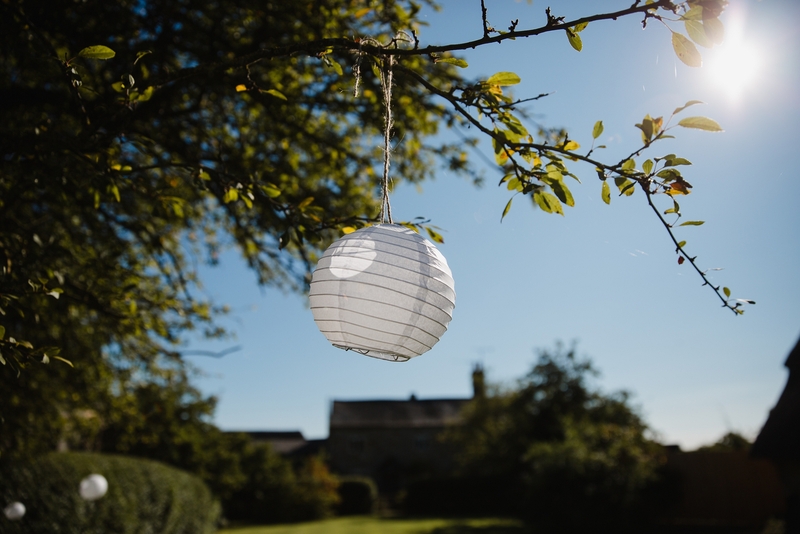 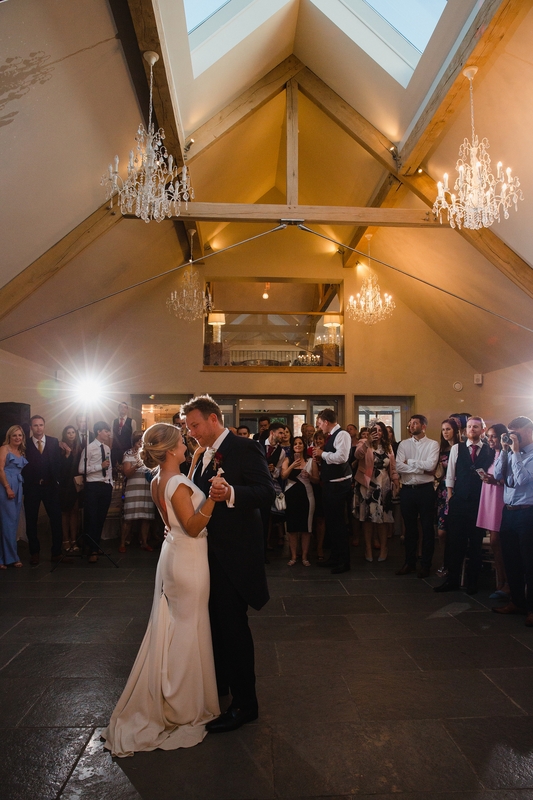 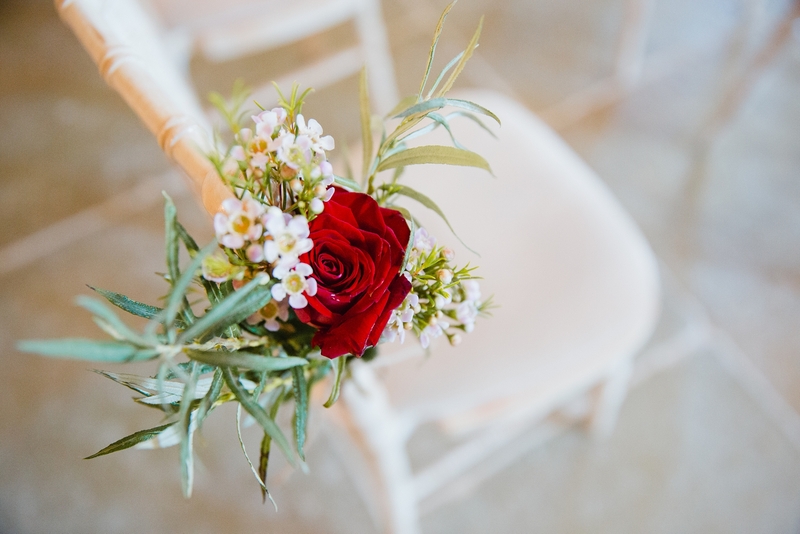 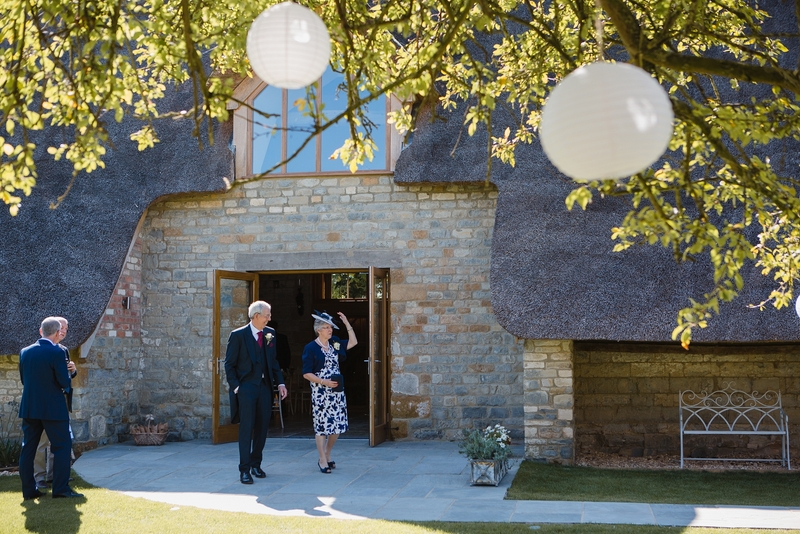 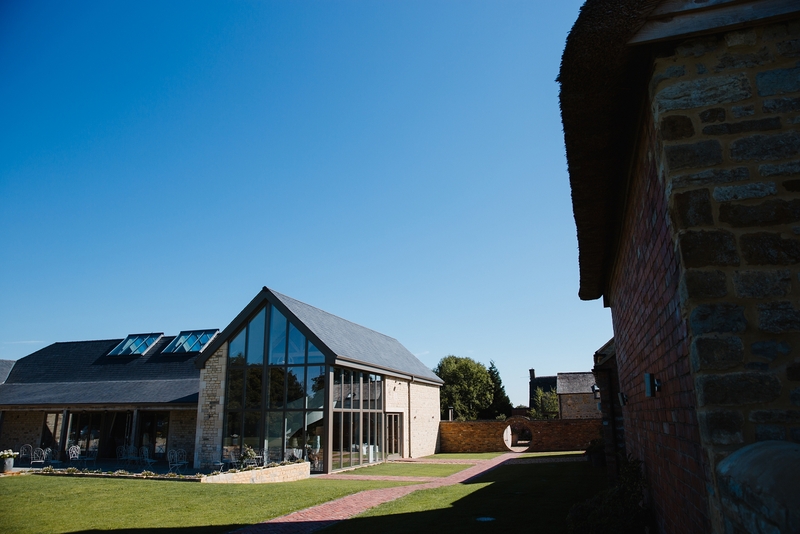 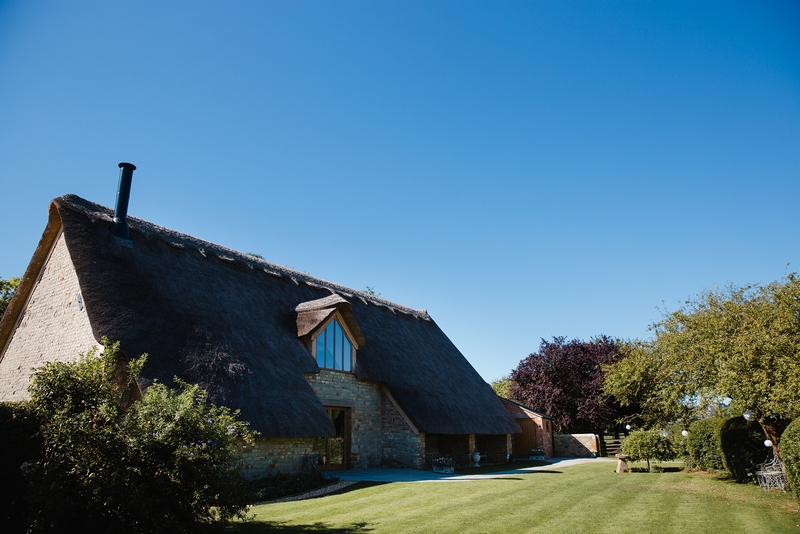 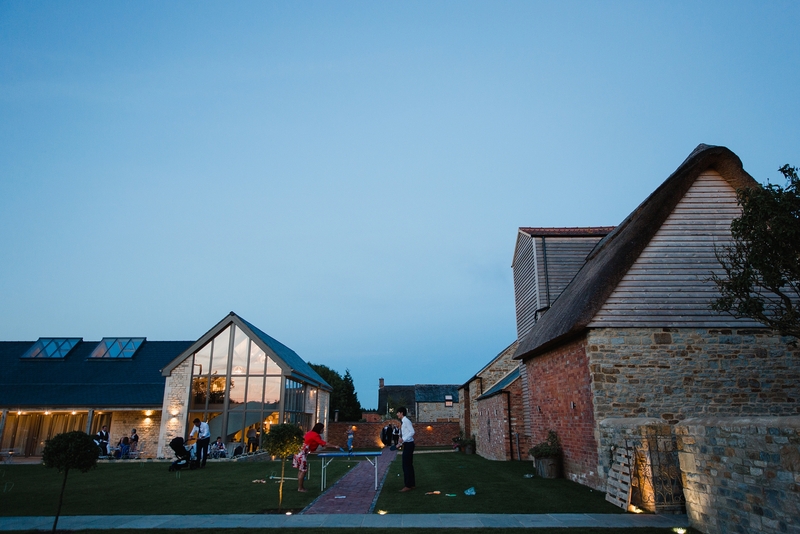 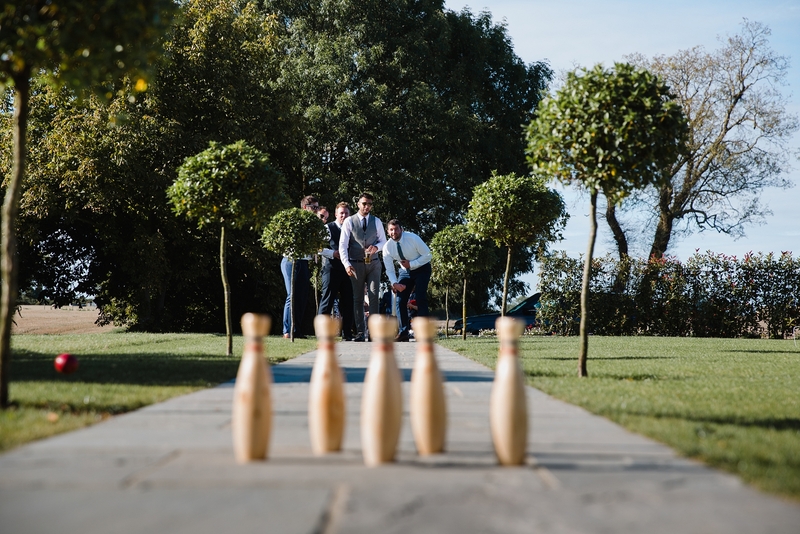 Blackwell Grange is a stunning new luxury barn venue nestled in the Cotswold’s countryside. 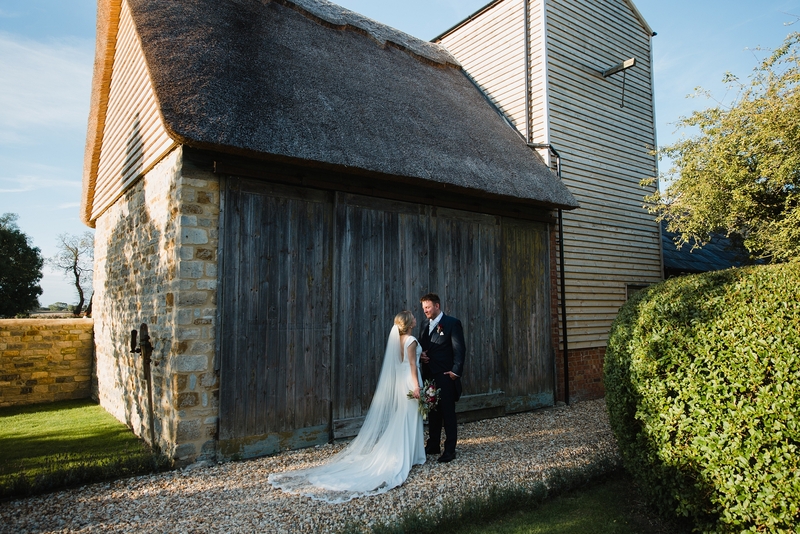 I love this history and romance of barn wedding venues and this stunning building has been part of the Blackwell landscape since 1543. 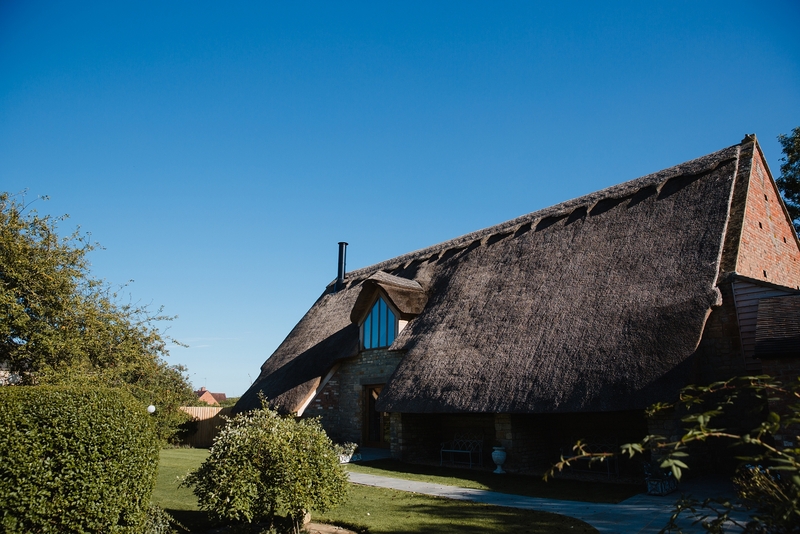 Imagine the stories that these old beams and thatched roofs have seen. 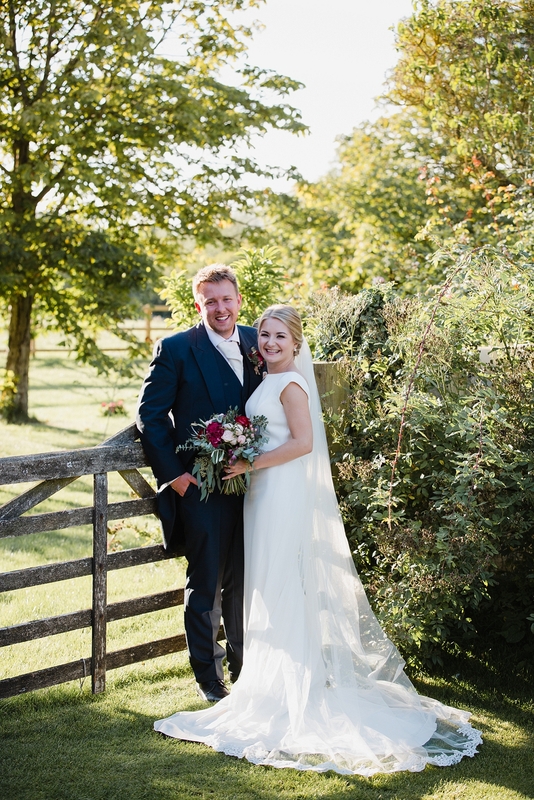 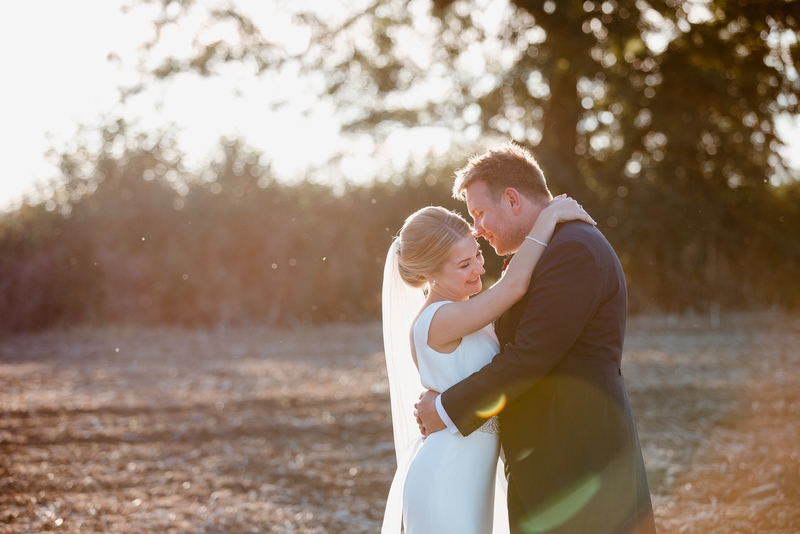 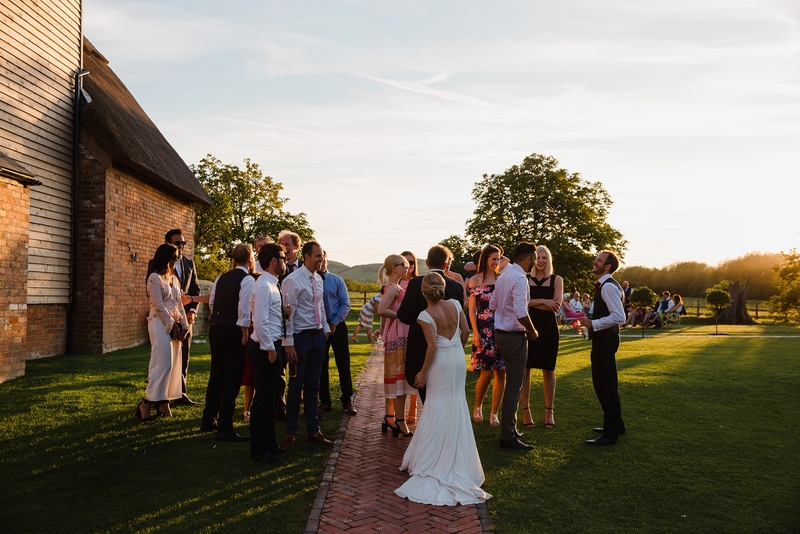 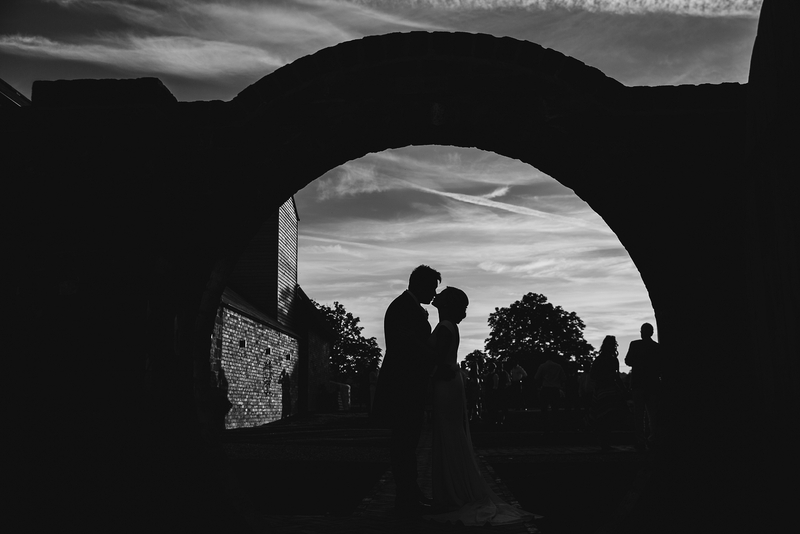 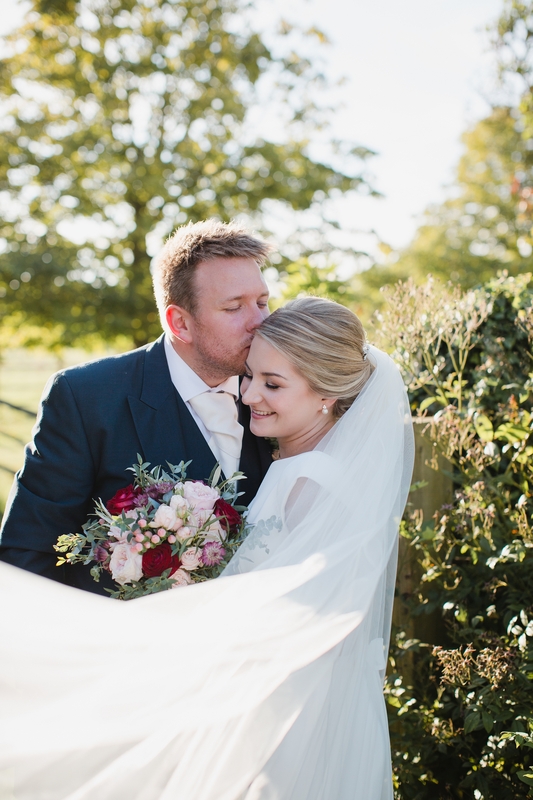 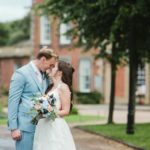 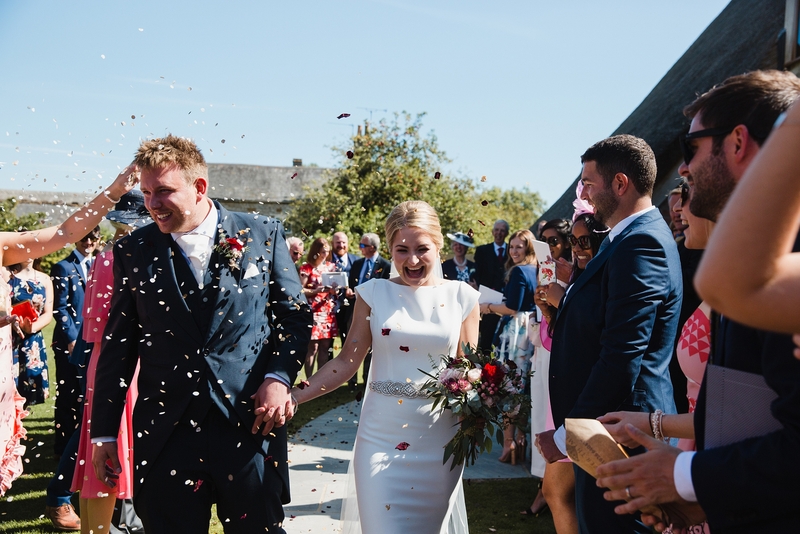 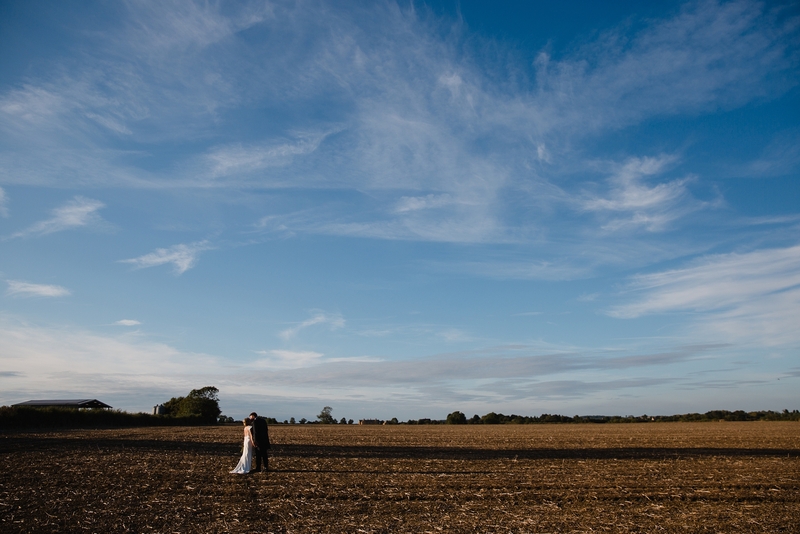 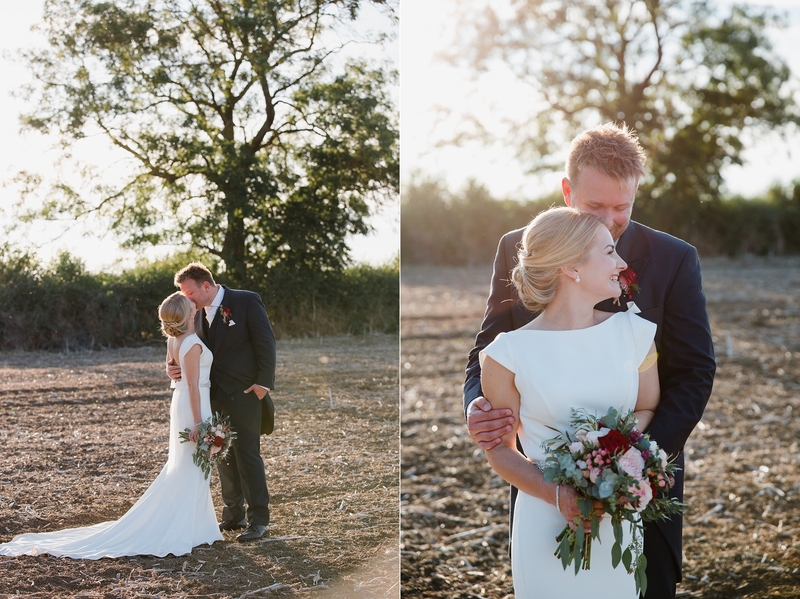 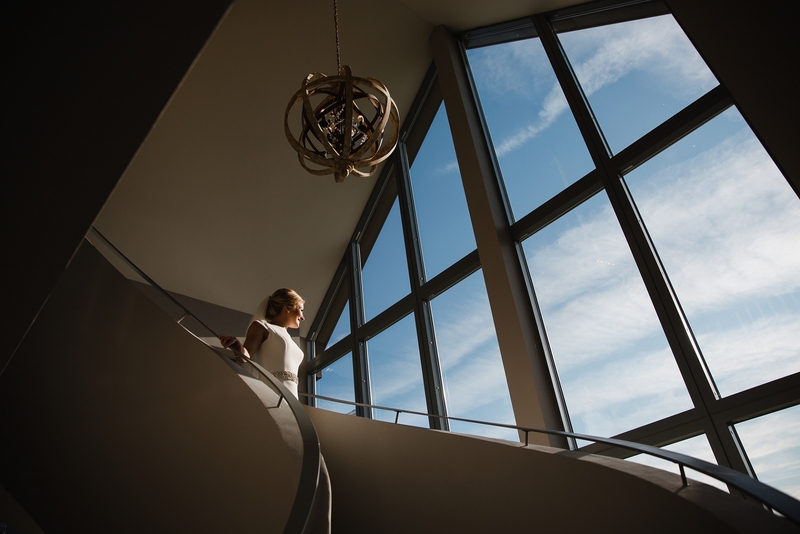 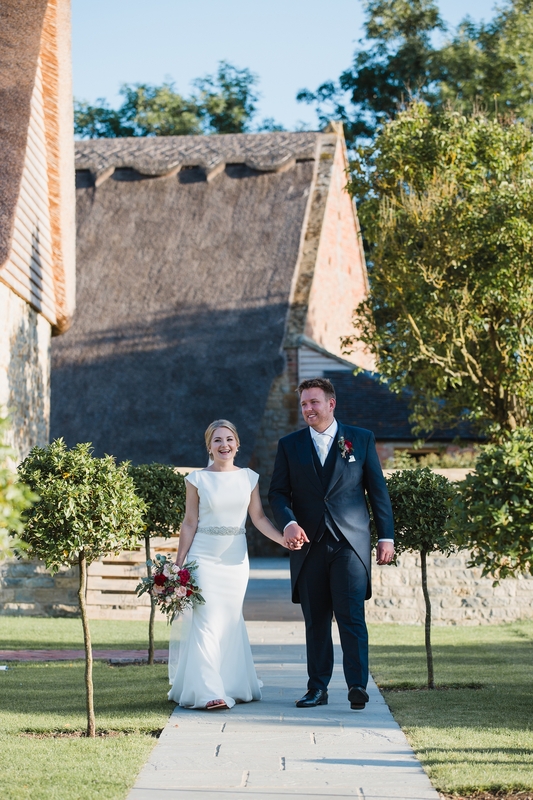 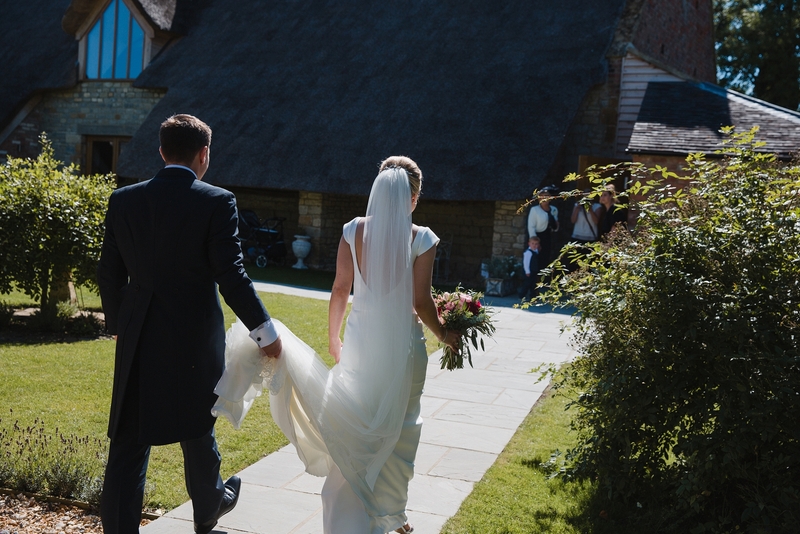 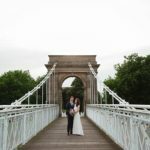 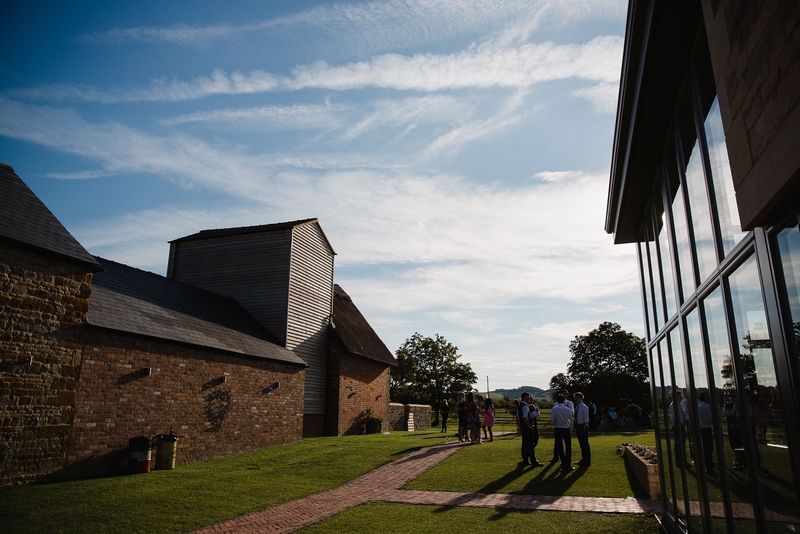 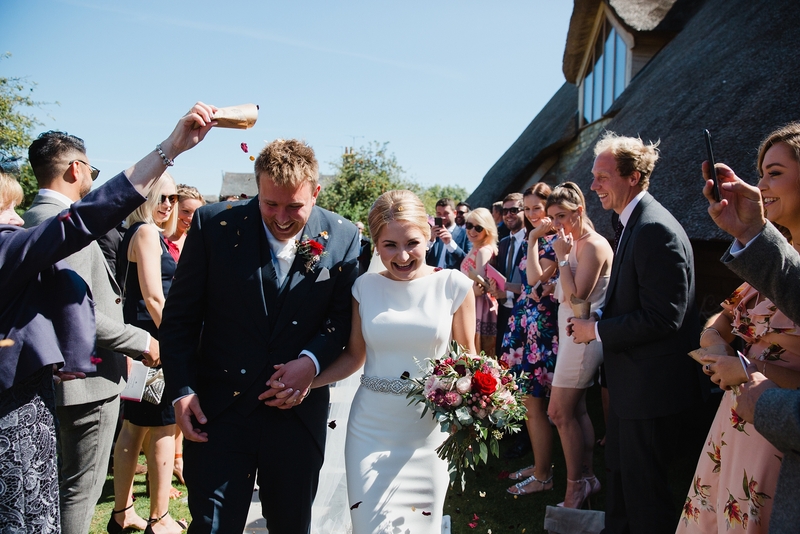 The particular story I’m sharing today is the story of Katie & Matt, whose wedding day I was honoured to shoot on one of the hottest days this summer, I mean look at that sky! 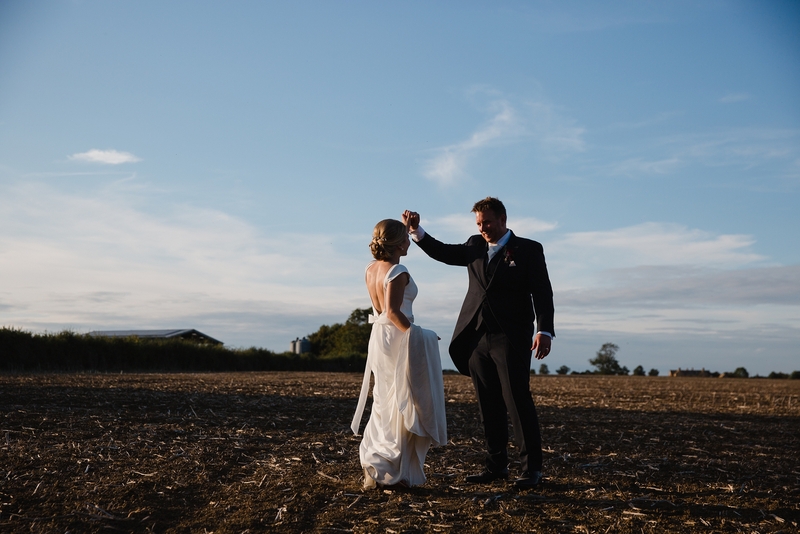 The day was a perfect mix of elegance and fun. 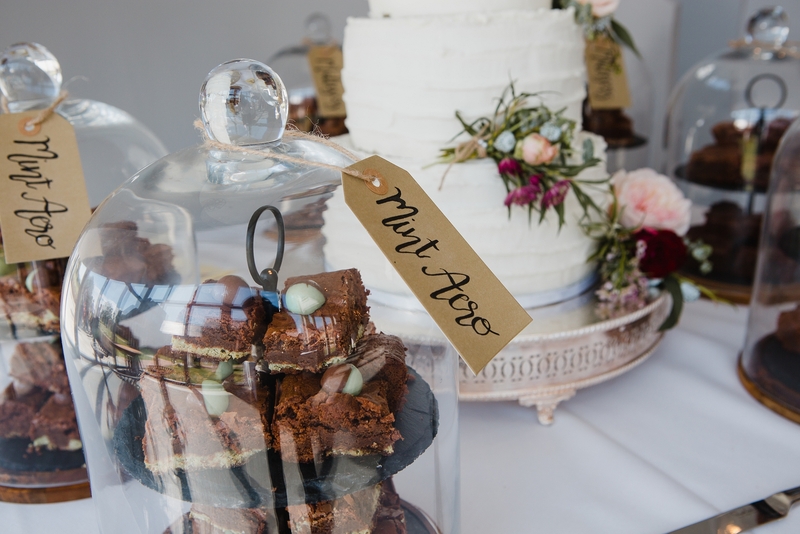 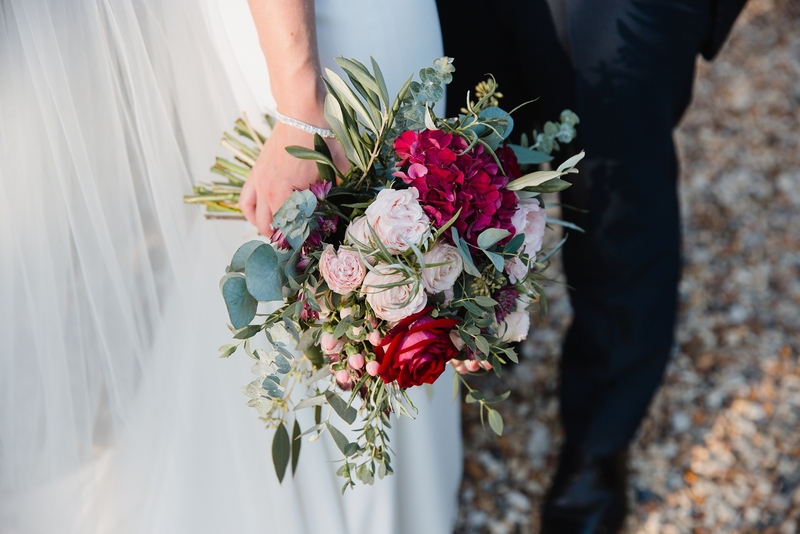 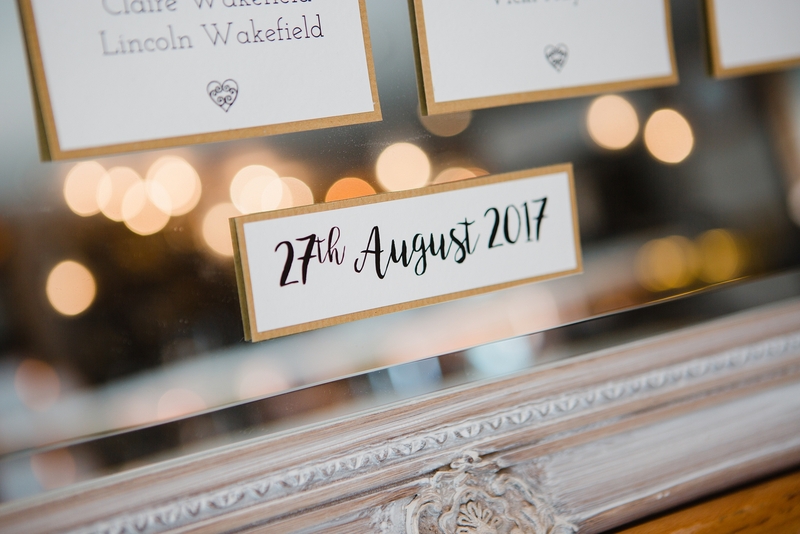 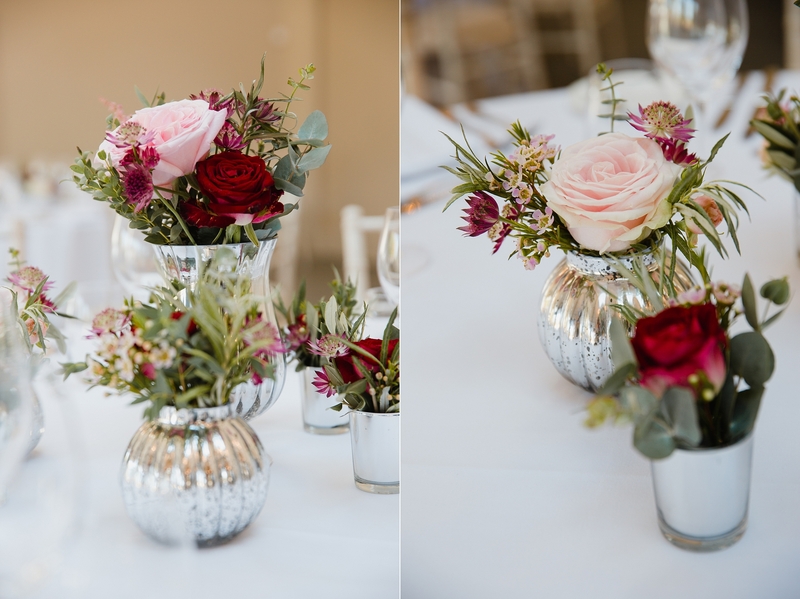 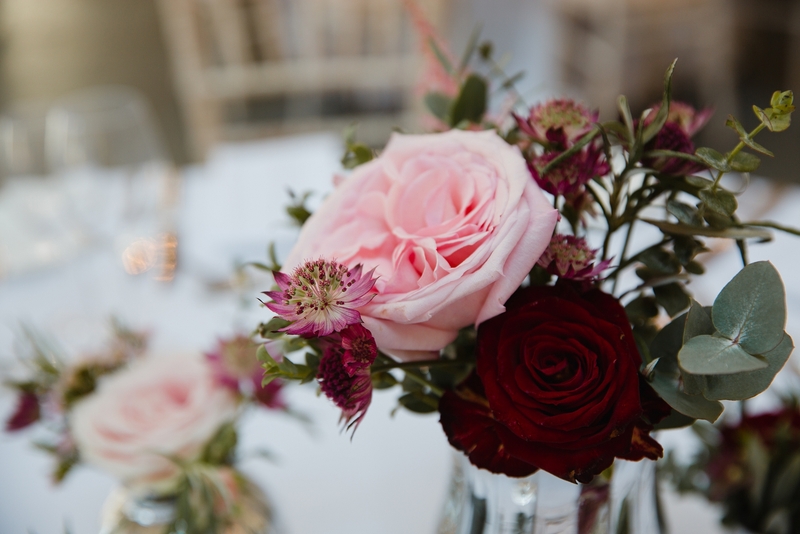 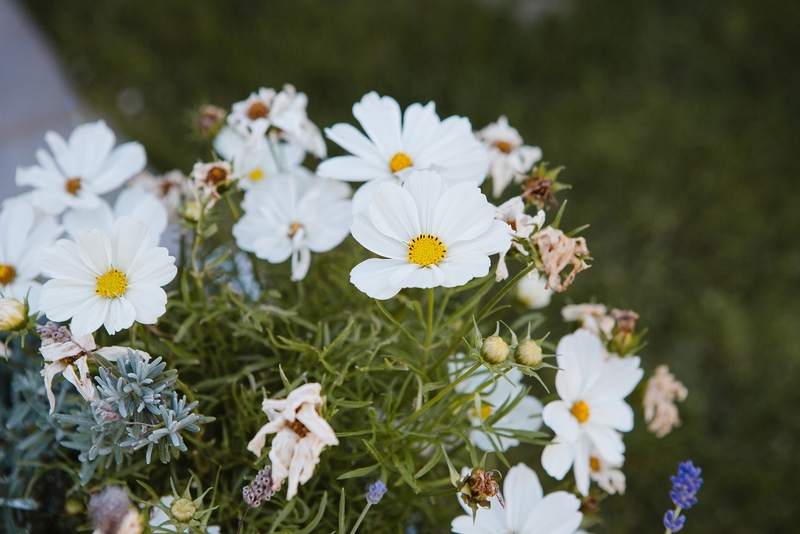 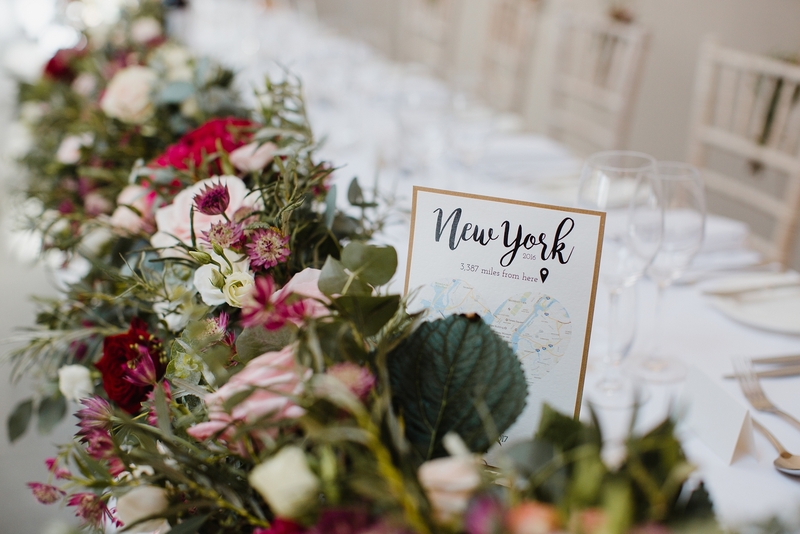 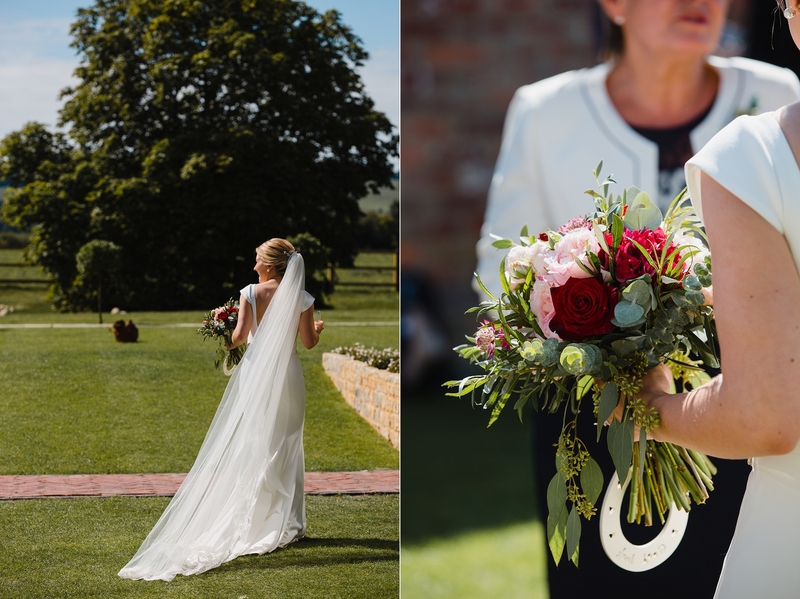 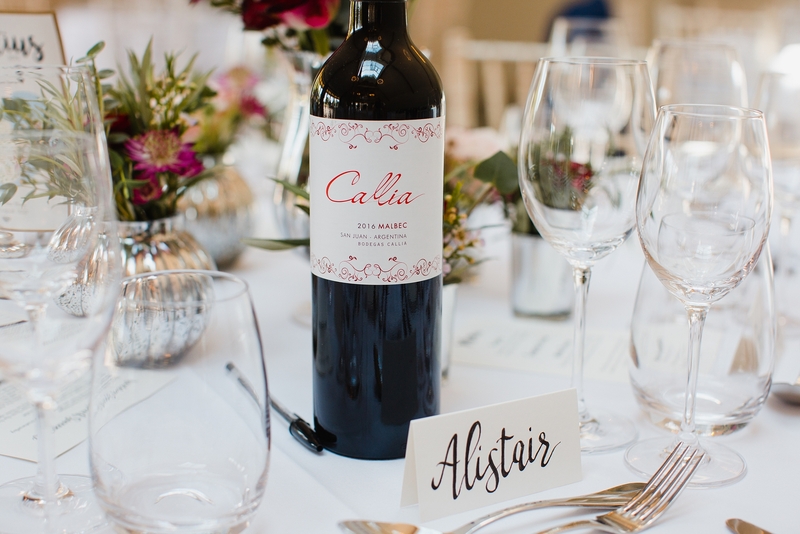 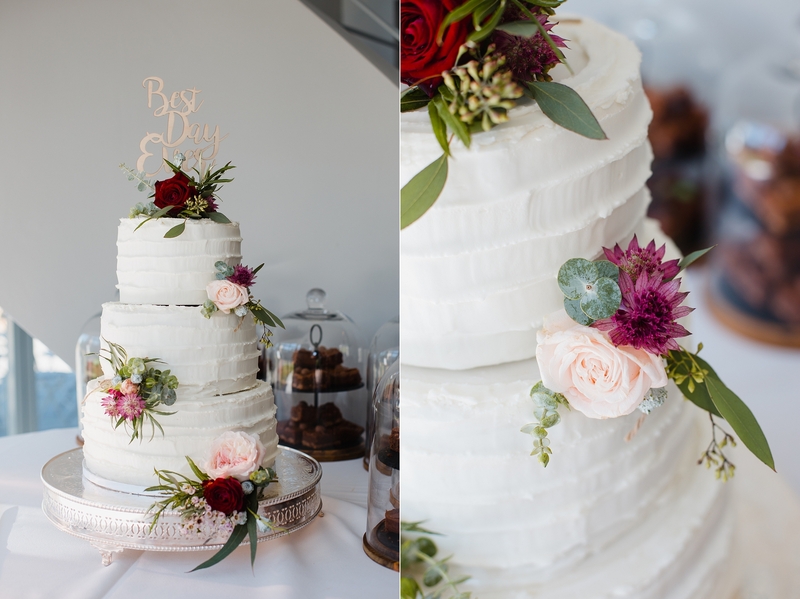 There were so many beautiful touches to the day; from the beautiful abundance of pretty autumn flowers, to the amazing cake made by a family friend (surrounded by the most scrumptious brownies!) 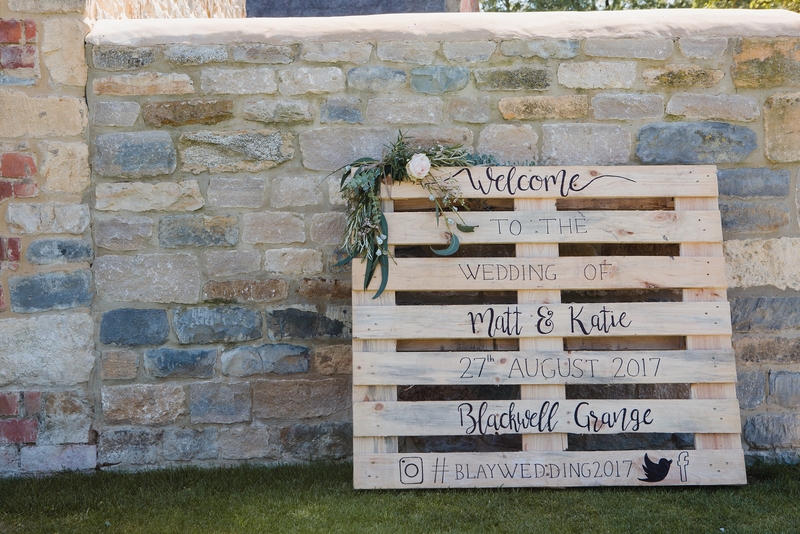 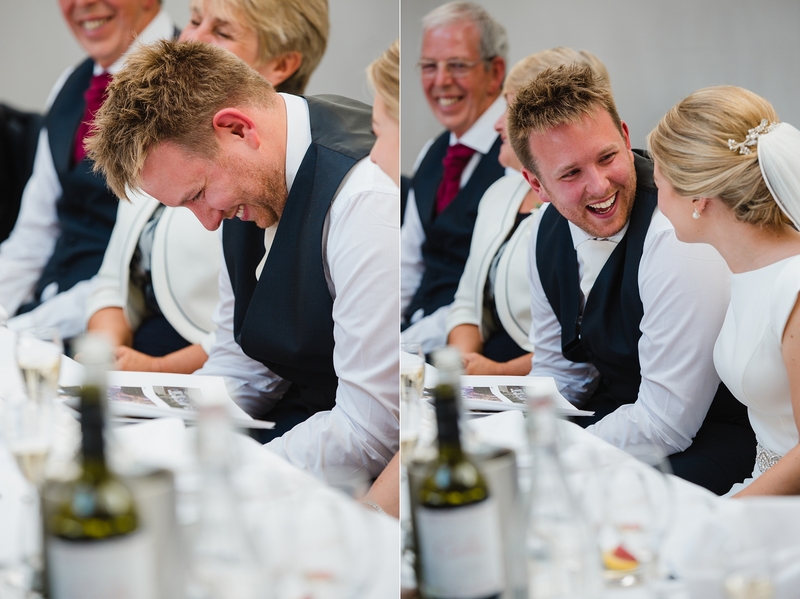 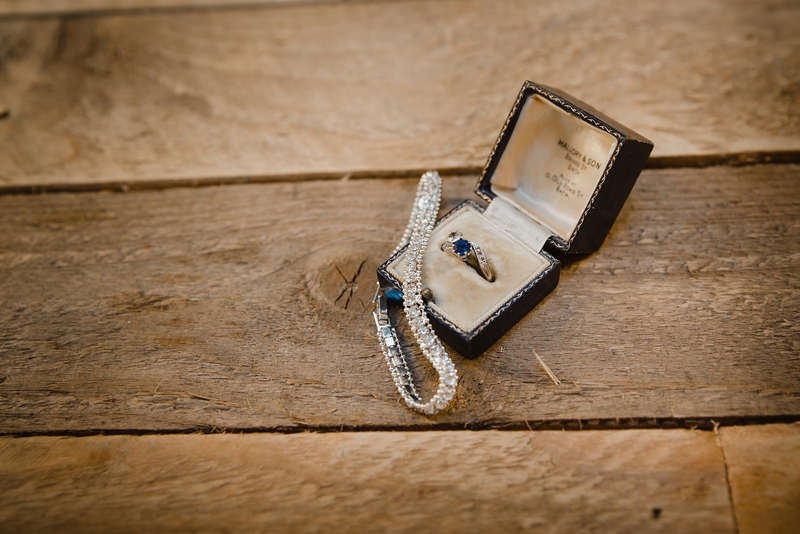 Katie & Matt’s day was truly personal. 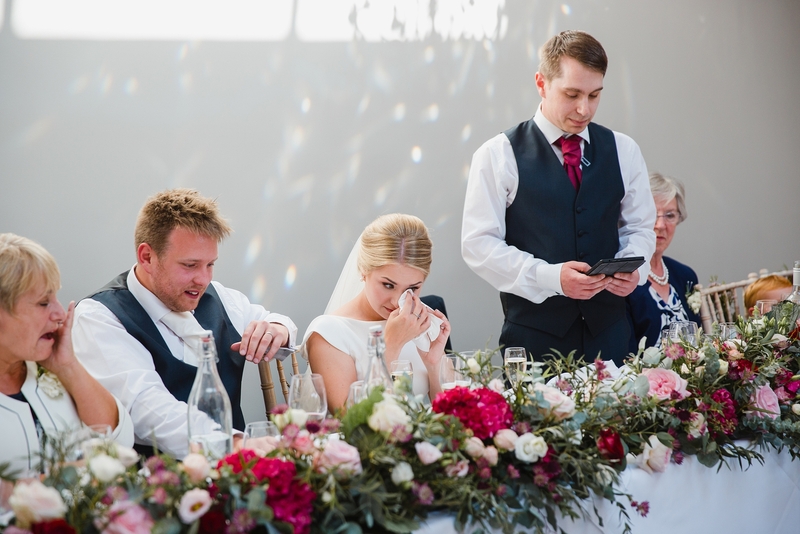 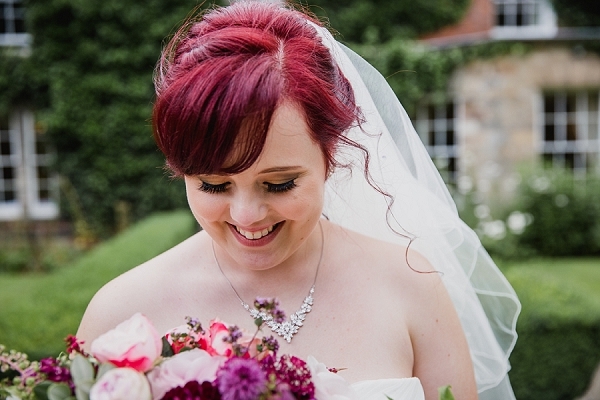 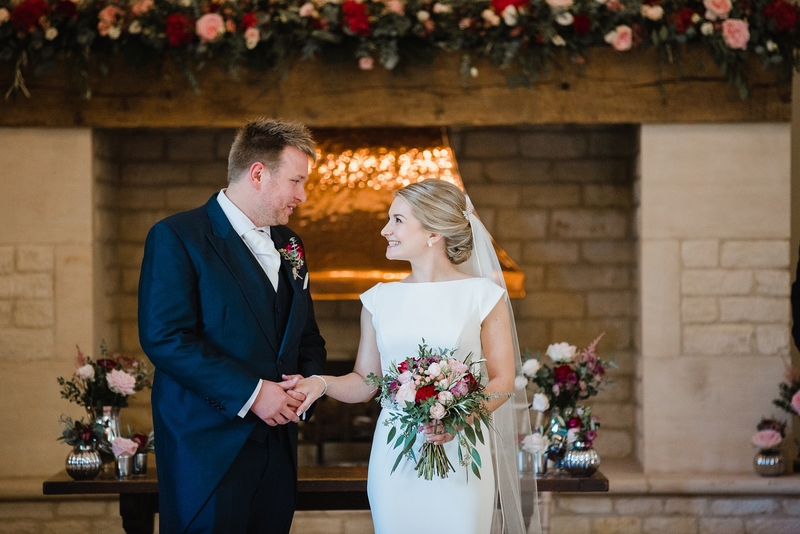 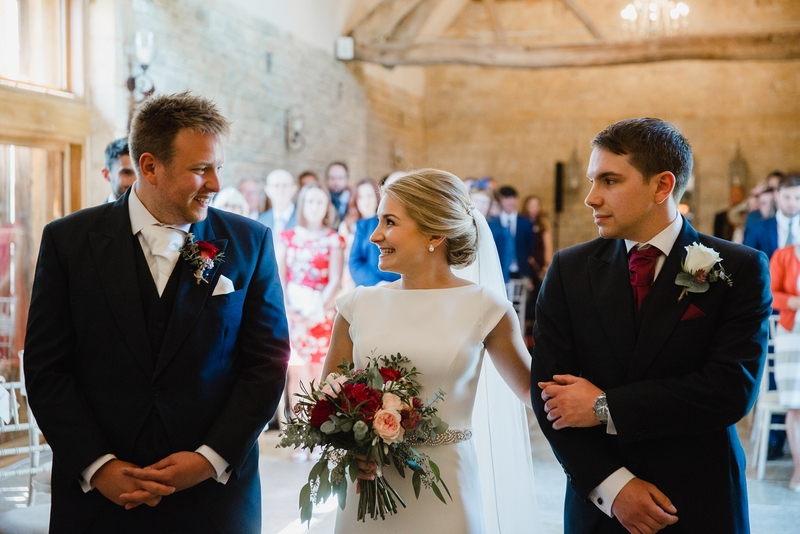 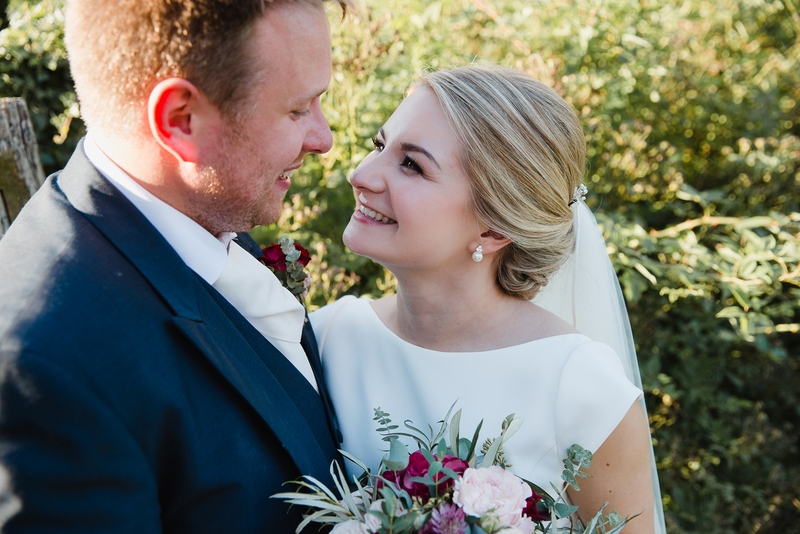 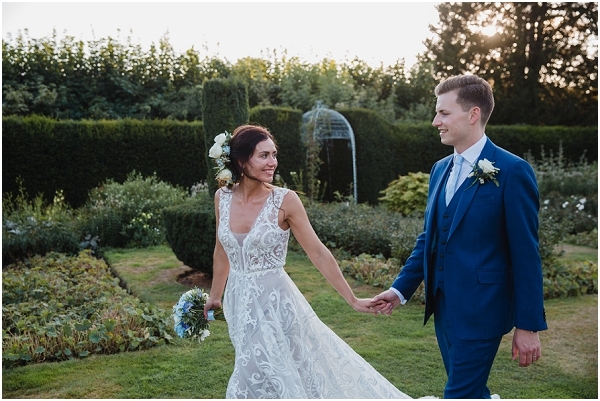 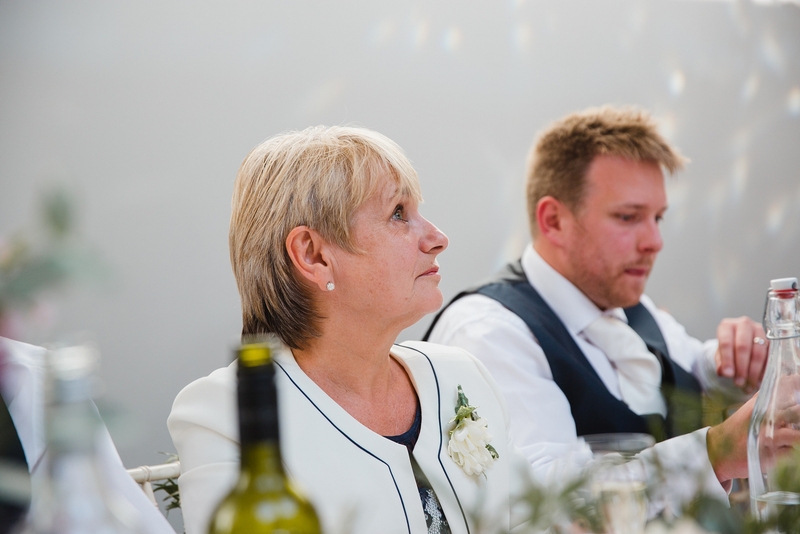 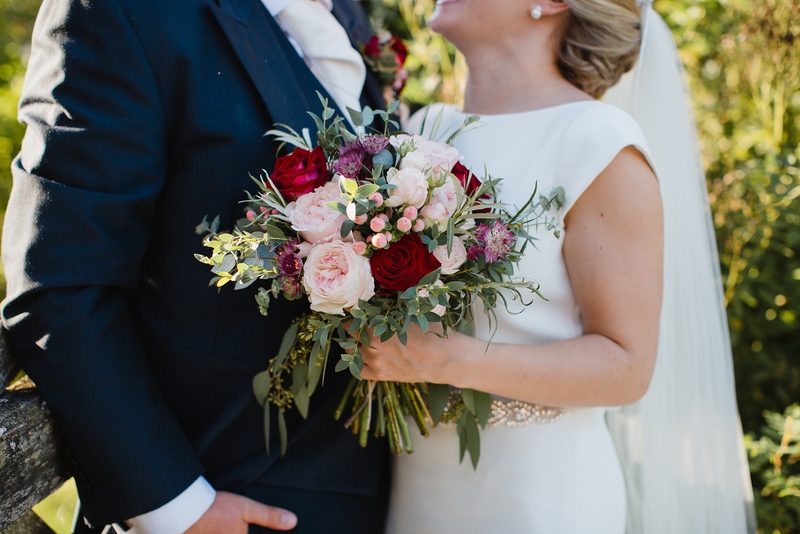 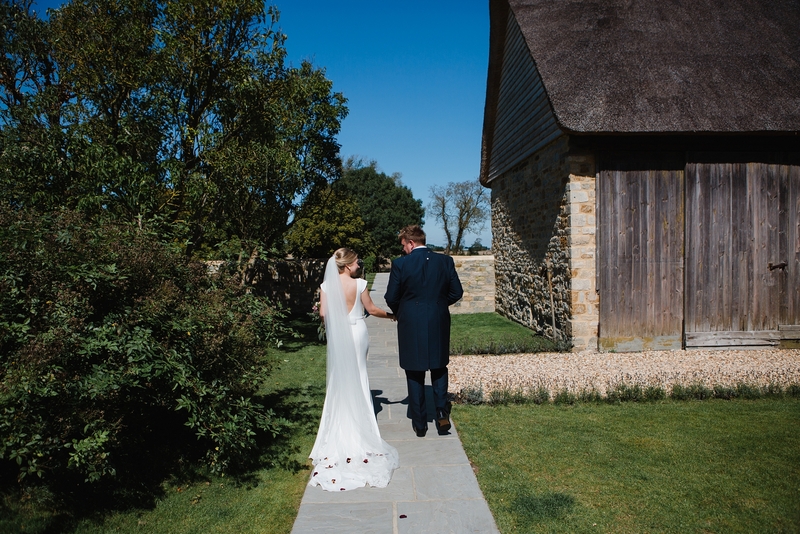 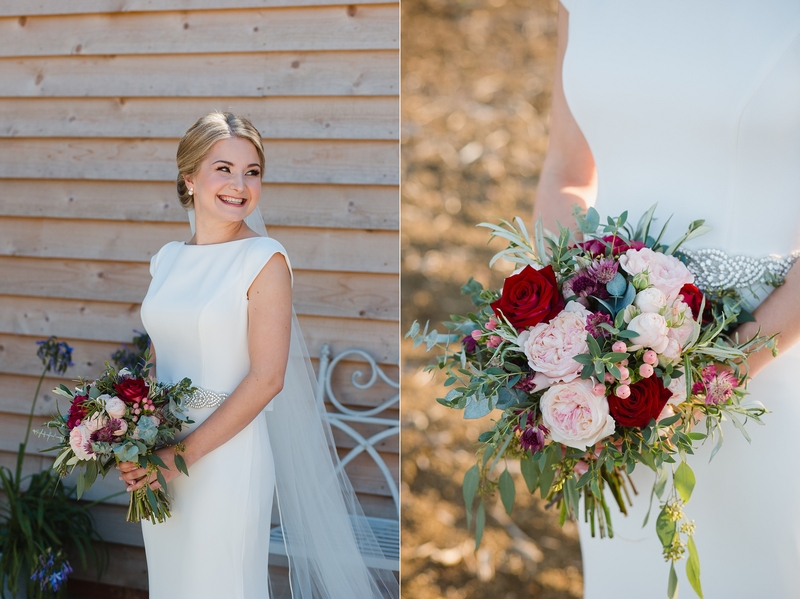 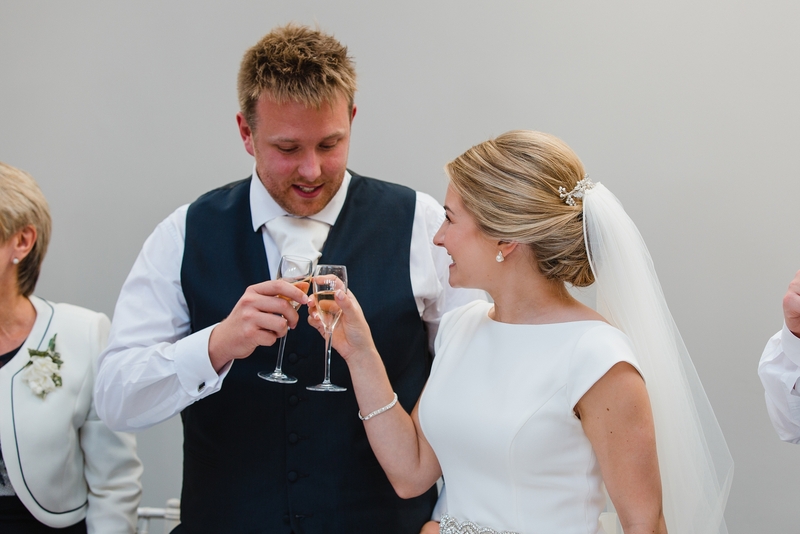 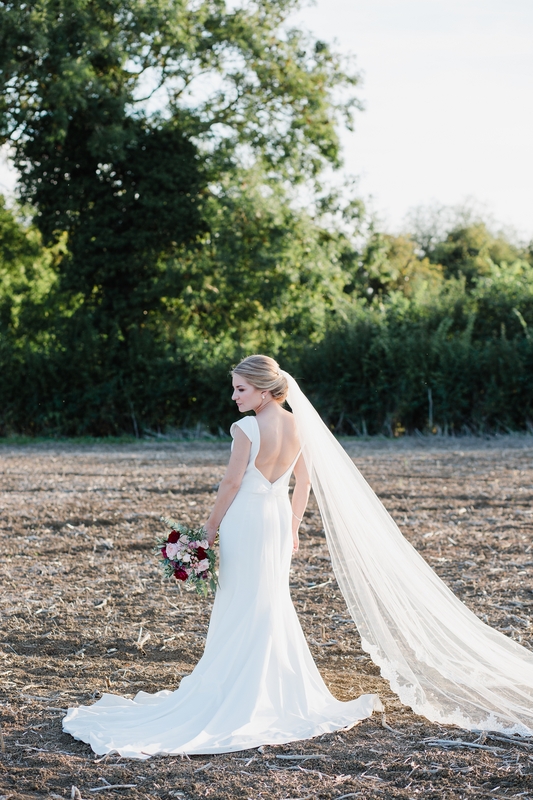 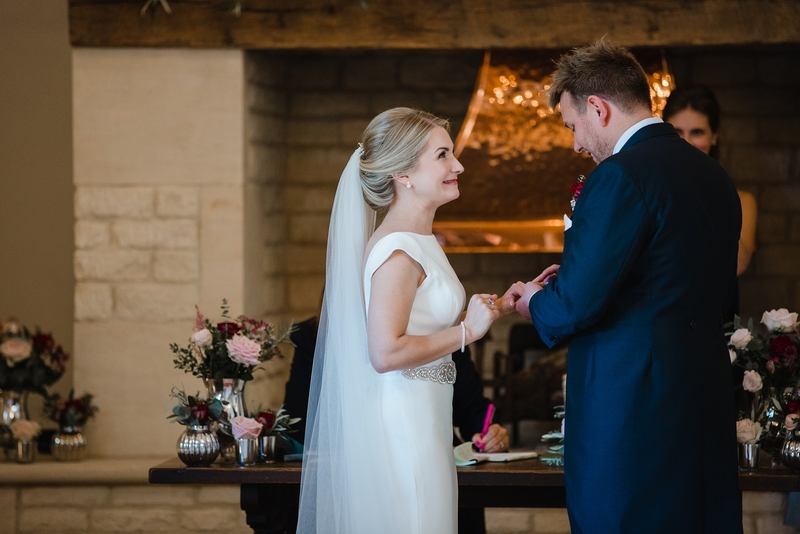 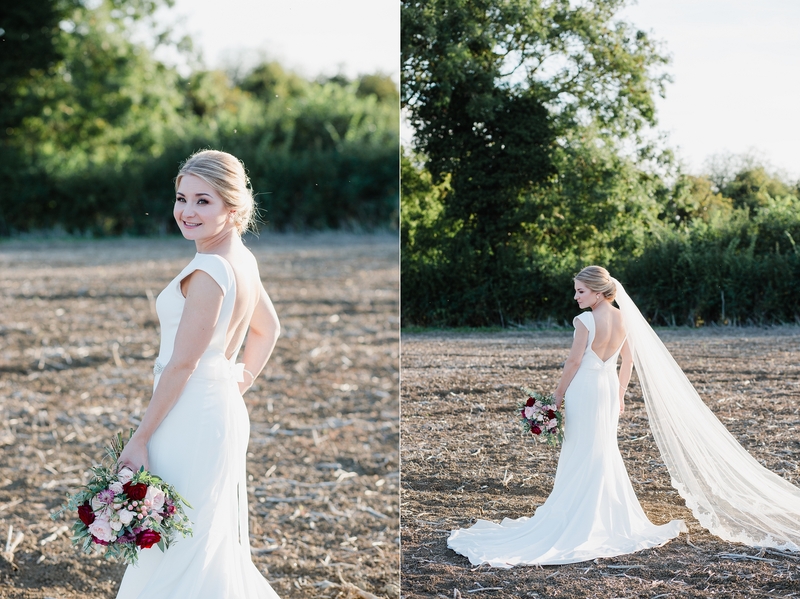 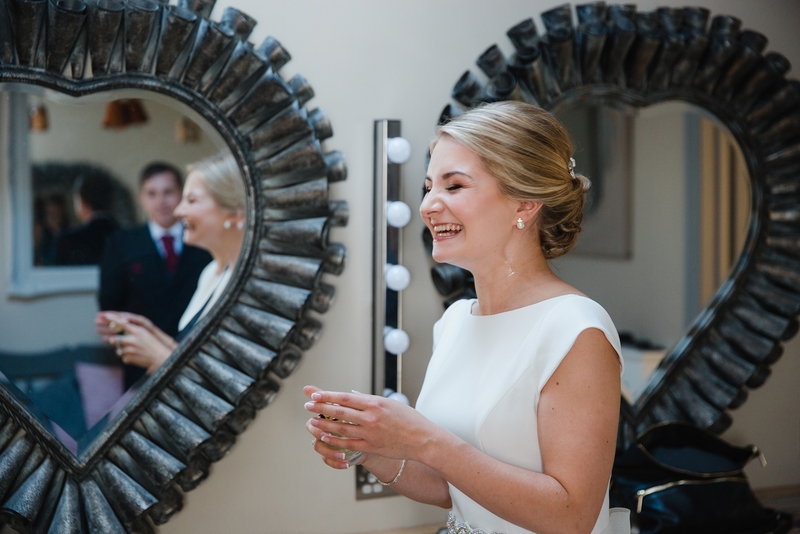 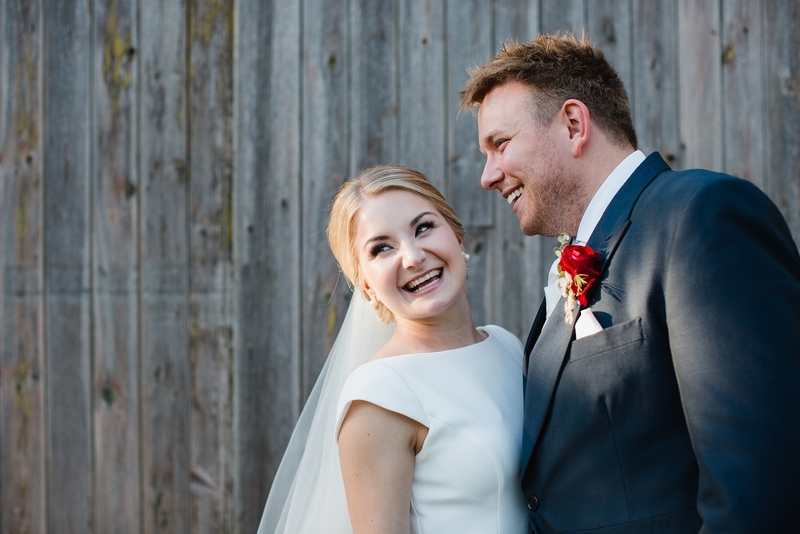 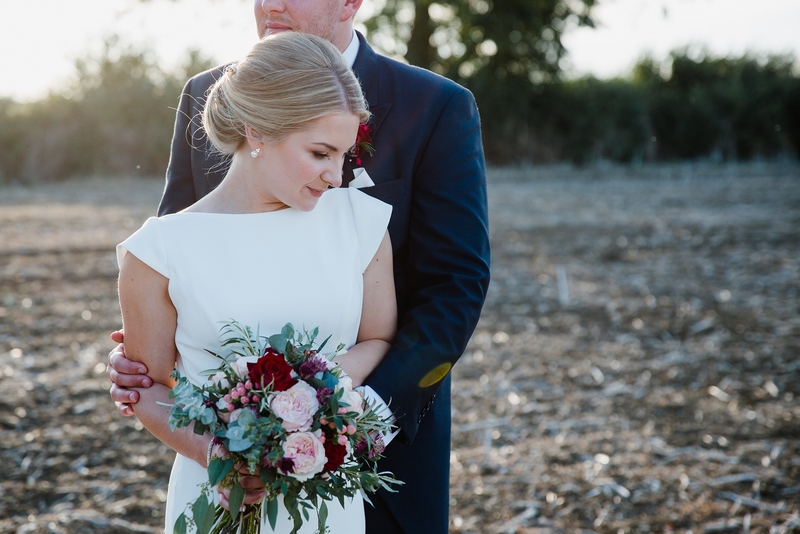 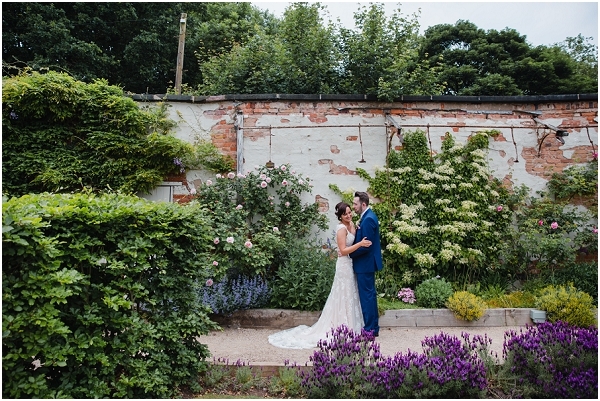 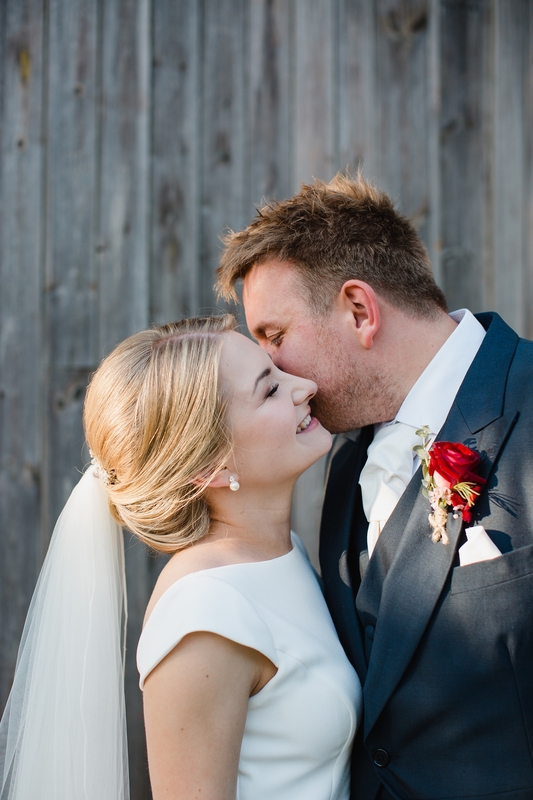 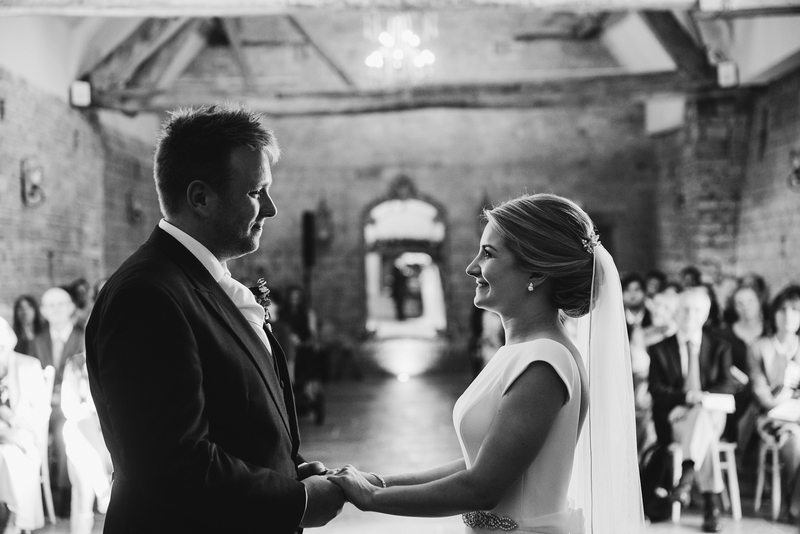 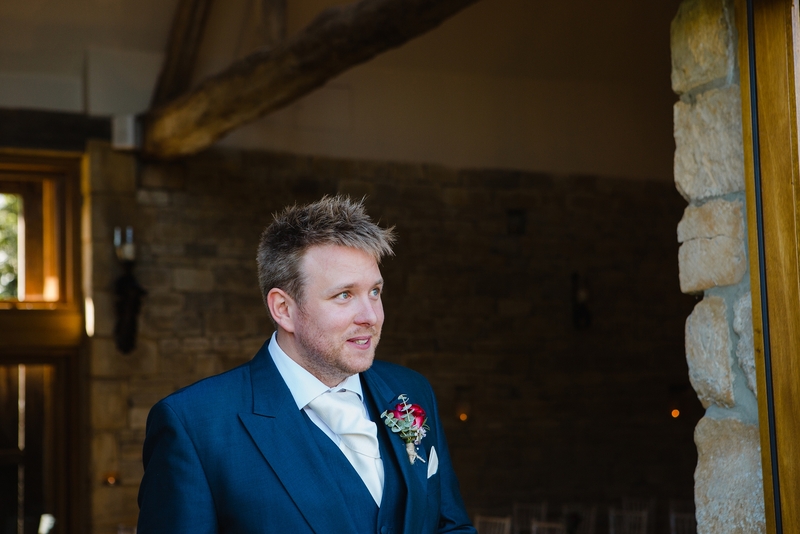 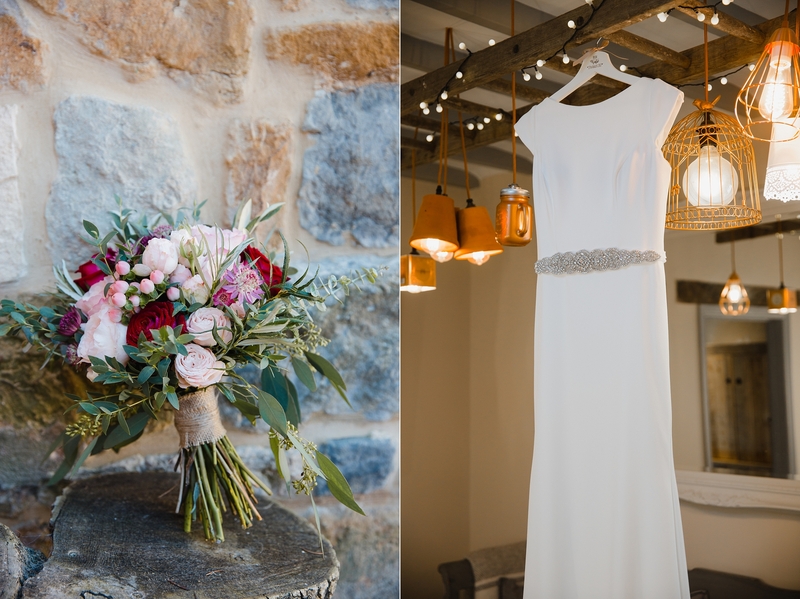 I loved Katie’s stunning Mikealla Bridal gown, it suited her petite frame perfectly – simple and beautifully elegant. 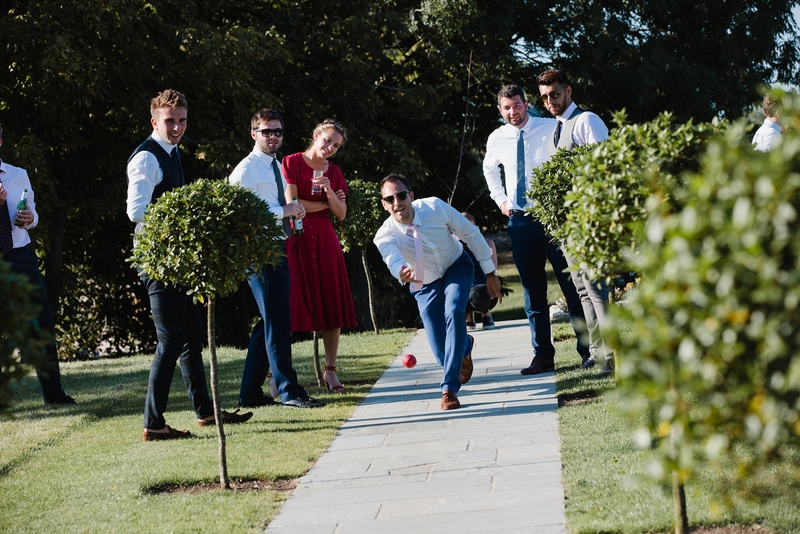 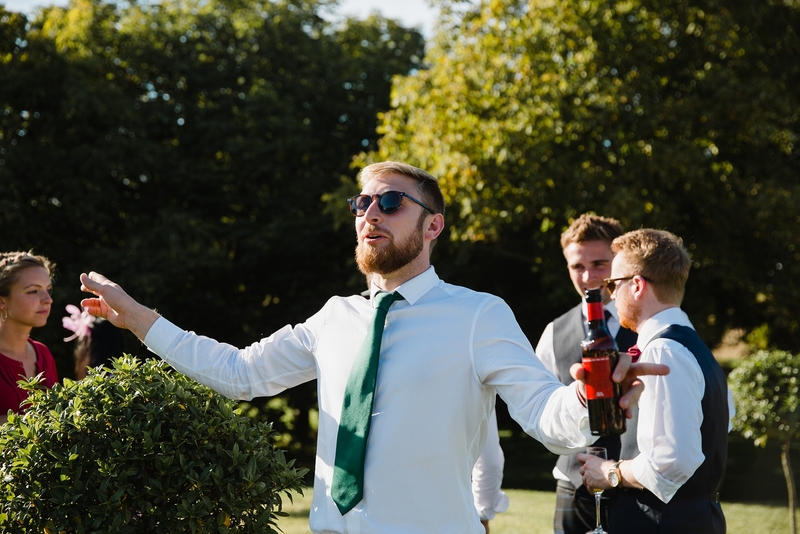 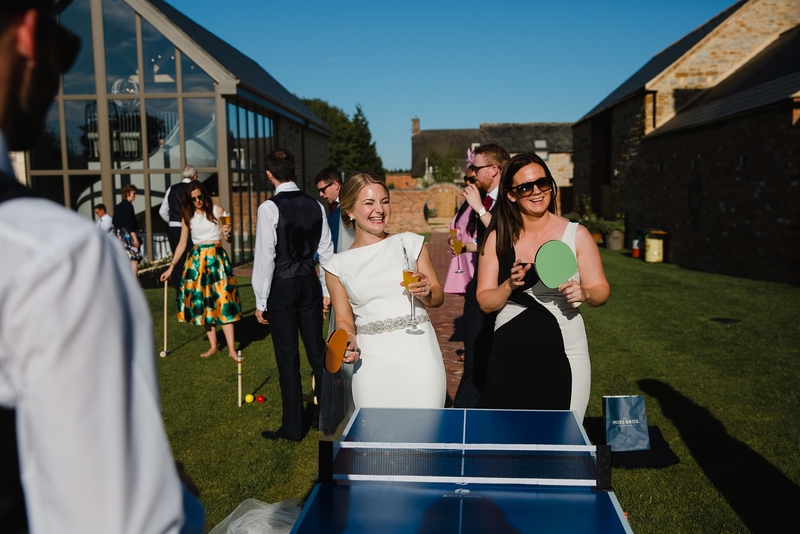 The stunning late summer weather meant that the day has the most amazing relaxed atmosphere, the guests played lawn games on the garden while enjoying a treat from the bellini bar and I had so much fun mingling with the guests and capturing the energy and vibrancy of the day. 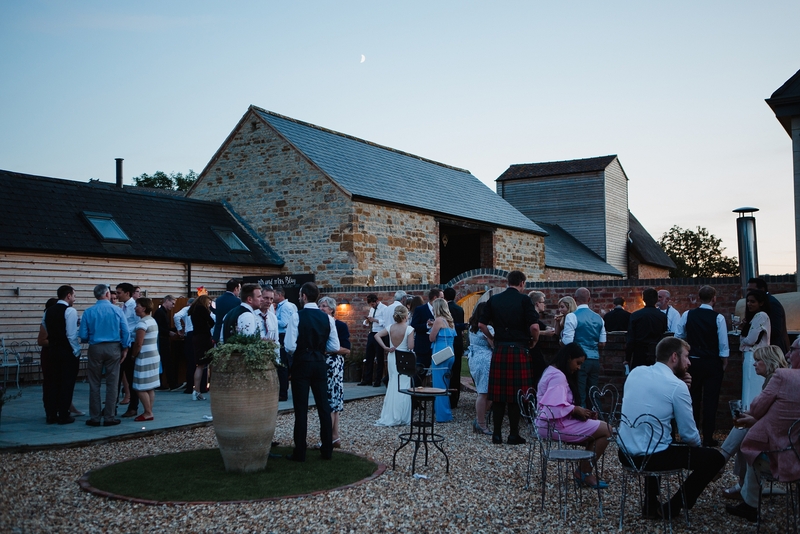 The party continued as the sun went down with delicious handmade pizza’s outside in the courtyard. 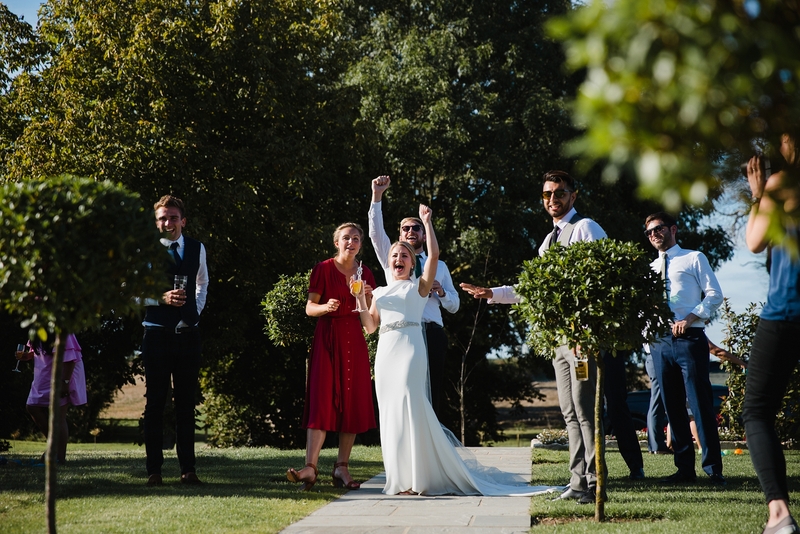 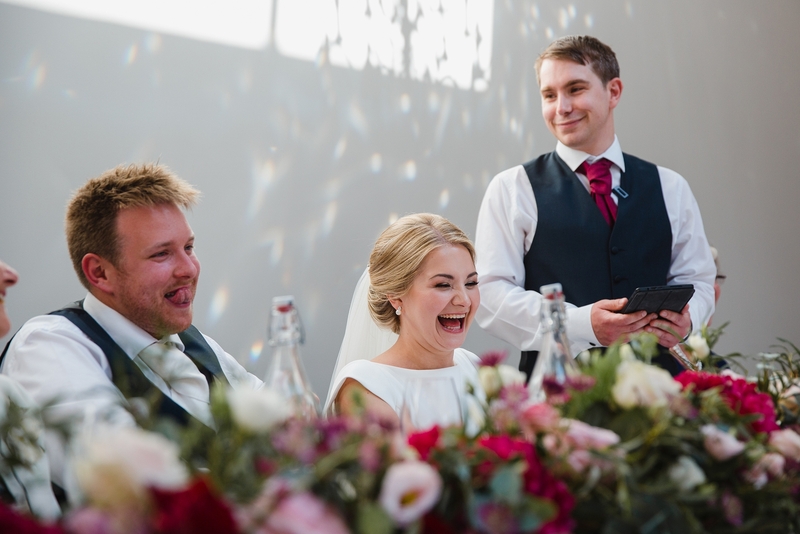 I know I say it often, and I am lucky to experience so many amazing wedding days, but this day was so full of joy I spent the long drive home in a complete buzz of excitement and happiness at the amazing moments I got to share with this lovely couple. 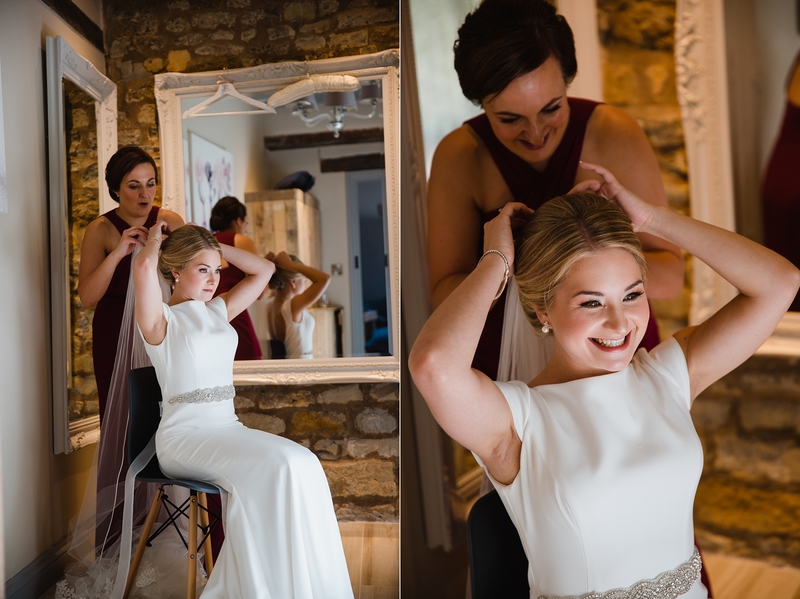 A big thank you to Emma for being an amazing second shooter for the day.